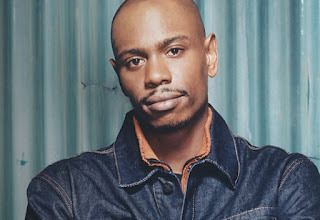 A city council meeting in Yellow Springs, Ohio had the town's most famous resident show up to speak on the matter of policing recently, when Dave Chappelle appeared to share his unique experience of having grown up there and seen the change in the culture of local law enforcement. Citizens of the small liberal Dayton suburb had been convening to review a scandal that has rocked the town, leading to the resignation of Police Chief David Hale, to "heal the rift" caused after officers violently broke up the annual New Years Ball Drop, in the early hours of January 1. The department drew heat, with protesters livid over the use of their cruisers to disperse the crowd and the subsequent tasering of two black men. Chappelle spoke of being present at the event, but having left early because the vibe wasn't right. After imparting his gratitude to officers who have been nothing but courteous to him since his return to settle down in the place he was reared in, Chappelle laid into the force, reminding residents on hand that there was a time when it felt as though each officer had a personal connection with the families in the community; a sense he no longer gets. "Now, we're being policed by what feels like an alien force," he said, calling the New Year's Eve incident a "huge gaffe." Chappelle then turned to politics, encouraging the council to consider the position Yellow Springs is in to shine as an example of progressive policing in the current political atmosphere. "I would beseech the council to look deeply and to look hard, because this is a golden opportunity. Literally, it could kill the game. In this Trump era, it gives us an opportunity to show everybody that local politics reigns supreme," he said. "We can make our corner of the world outstanding. So I'm just begging you to find a candidate that matches the culture of this town, which is renowned for being incredibly unique." After the resignation of Commissioner Hale, one of the officers involved in the New Year's Eve incident, Allison Saurber, also resigned. The second officer said to have taken part in the tasing, R.J. Hawley, was reportedly injured at the function and has been on administrative leave since.